In this work, the control technique effectiveness of structural coupling between adjacent buildings when using more realistic structural models is verified. It is possible, therefore, to use different damper configurations and different directions of earthquake action. Generally, the models used to represent adjacent buildings are simplified by reducing the number of degrees of freedom, such as the shear frame model. The model simplifications often affect the response obtained, that is, the quality of the model itself that does not represent well the realistic response of the structure. In this sense, the modal response of a steel spatial frame was obtained experimentally, to perform a comparison with a numerical model to ascertain the results. Using this numerical model and an idealized adjacent model, also calibrated by the experimental results, a seismic numerical analysis was performed with the structures connected by passive control devices. 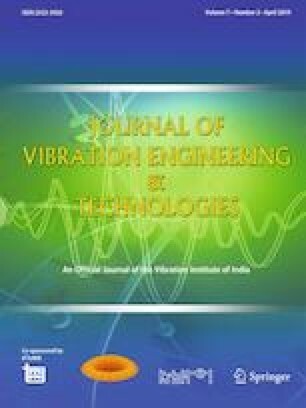 Quantity, position and mechanical properties of the devices were obtained through a particle swarm optimization method, performed in simplified shear frame models from the experimental structure. The results indicated the importance of choosing the structural model to obtain the structure response in terms of natural frequency, maximum displacements and story drift. Reductions of up to 60% in maximum displacements were found. Discrepancies even in simple three-dimensional models compared to the shear frame model were verified. This study shows that even with earthquakes acting on the structure in different directions, a certain degree of reliability is possible by modifying the arrangement of the dampers. The authors gratefully acknowledge the Brazilian agency CNPq (Council of National Scientific and Technological Development) and FAP-DF (Foundation of Research Support of Federal District) for financial support of this study.